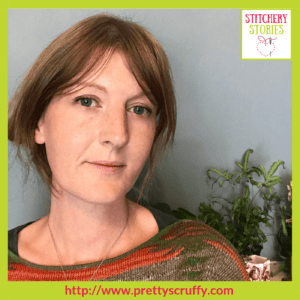 Today on the Stitchery Stories embroidery and textile art podcast, Bryony Rose Jennings shares her life in fabric & thread. 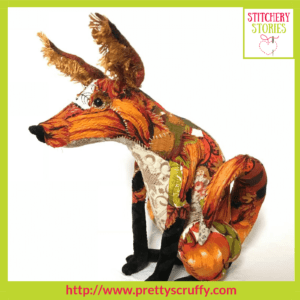 Bryony is a textile sculptor who originally trained in jewellery making and silversmithing, although she has always has textiles and creativity in her life. 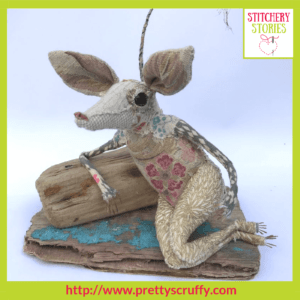 She creates her textile menagerie, which is a wonderful world of stylised imaginary creatures full of character and personality. 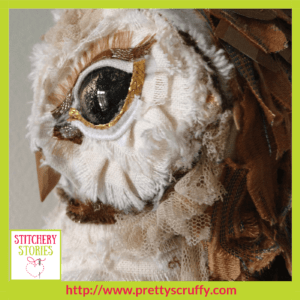 Bryony shares why she moved from jewellery to textile sculpture, and we highlight that there are more commonalities between the two than you would first think! 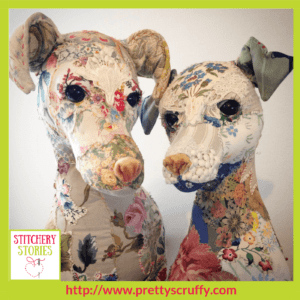 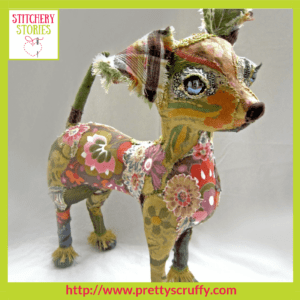 Her textile sculpture techniques – these are NOT soft toys!